Having said that, I think the reason the tips look tinted is due to oxidation of the hair which is a natural process but can be inadvertently hastened. 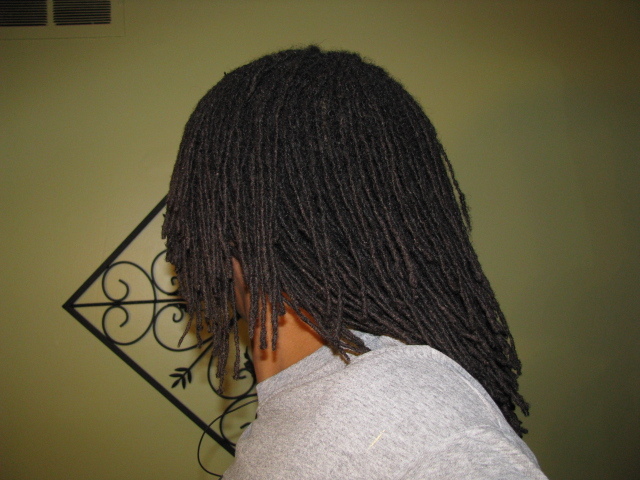 It just looks more prominent on locs probably due to all the hair strands being wound together thus making it a lot more noticeable than on loose hair. If one observes, it’s there on longish loose hair as well but you must be looking at it at the right angle in sunlight, ie the red-ish tint you can see on someones hair that you know does not dye or henna their hair. The other reason I say on long-ish hair is that the oxidation is on the ends which is the oldest part of the hair and takes awhile to show up. You more than likely will not see it on shorter hair because the old ends have been cut off or broken off. I’ve noticed this on my braidlocks/dreadlocks as well and of course on the bottom 1/3 of the locks. I really noticed it today with my hair in a half-up, half down style. Not sure if you can see the color difference in the pic but I can definitely see it. 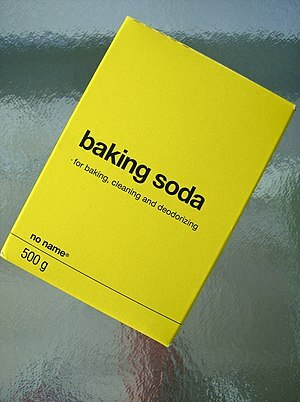 Now, I bet you’ve heard of people naturally bleaching their hair with lemon juice and sunlight. 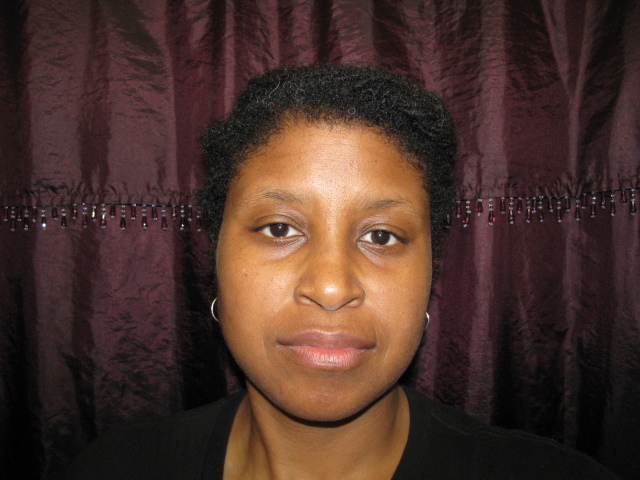 Yeah the same process is going on with our hair without the lemon juice thus at a slower rate. Can this be prevented? Again, I’m not a scientist but I don’t think so. However, we may be able to slow down the process. Wearing a hat while outside is probably one way. 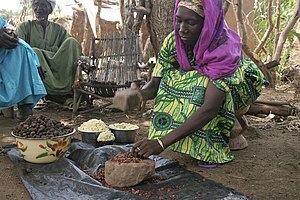 Though not always practical especially in the middle of summer in the very hot regions of the country where temps can get above 95 degrees. Diet always places a big part in how our hair looks so start there by making sure you are getting enough vitamins and nutrients like protein, vitamins C & E.
Vitamins C & E are known as antioxidants. Hmm… antioxidants. The last part of that word should ring a bell. Oxidizing is what the sun and air is doing to our hair so it makes sense to me to put things on the hair that contain some version of these two vitamins to help slow down this natural process. The reason for this additional ingredient in conditioners is so they will function better in hard water. Ok, the bolding of the word oxidation is mine. Now I know they are saying “the oxidation of the fats in food” but why would I want to put something on my hair that causes oxidation of any kind when that’s one of the things I’m trying to prevent or at least slow down in the first place? I’m all about prevention, not having to fix the problem after the fact. Plus, I don’t want to oxidize the oils which are fats on my hair. Even natural sebum contains fatty acids. This is probably done so that the conditioner can bond to the hair as they’re designed to leave a tiny bit of the conditioner behind on the hair even after it is rinsed it out. Needless to say, this is one of the reasons I stopped using conditioners. 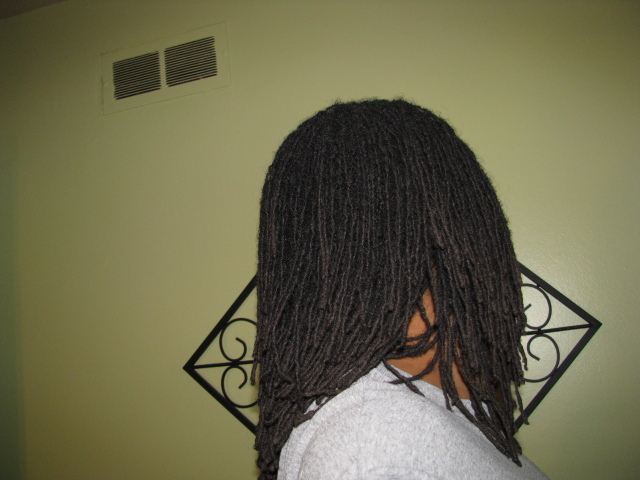 For the brief period I was using them I noticed that “ashy brown tinted’ look on my locs. I must note that I was in the sun a lot more back then as well. So since using oils and herbs to condition, I’ve noticed the ashy brown has gone to a little darker brown. Still there, but looks a lot better and almost deliberate. Hibiscus is a great source for Vitamin C and I bet that’s why it’s used in Indian hair care. Grapeseed oil has Vitamin E and of course my personal favorite, coconut oil! So this maybe something to think about. I’ll address the 2nd question in the next post. Why Does Hair Lighten in the Sun But Skin Darken? Hey! I hope that you all had a wonderful Thanksgiving if you celebrate it and if you braved the Black Friday crowds that you did not spend too much money. I forgot to mention in my 4 year update that I’ve noticed that my hair was shedding. 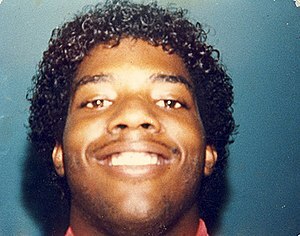 I remembered back in the day when I had a Jheri curl that my hair shedding had been reduced tremendously. Probably because of the activator and moisturizer that you had to put on it. Otherwise your hair would break off from being dry. I’m really liking the way that my locs are looking and feeling. 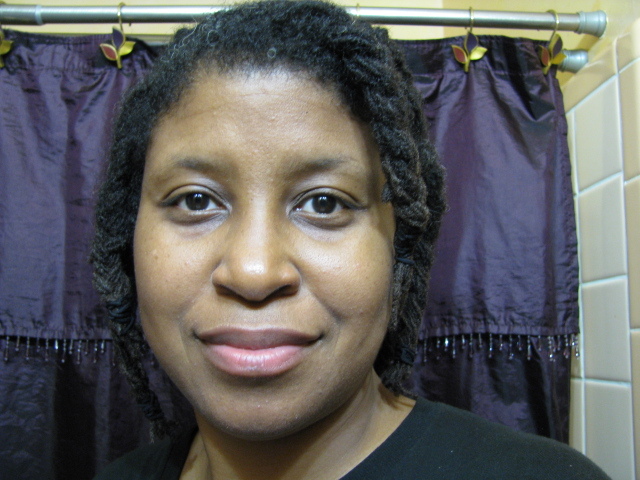 I even got a complement on my hair from a much older family member yesterday who does not like dreadlocks. Y’all know how the older generation can be about natural hair, not to mention dreadlocks. But I’ll tell ya, you could have knocked me over with a feather as I was shocked! 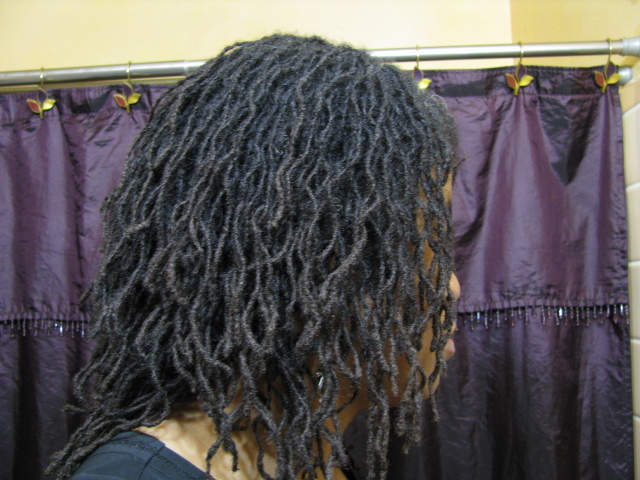 You might not want to try this if your locs are still new. At least not daily as it could interfere with the locking process. But adding moisture, oh yeah! Hey guys! Popping in to share my 4 year braidlock anniversary and yeah, it’s real late. 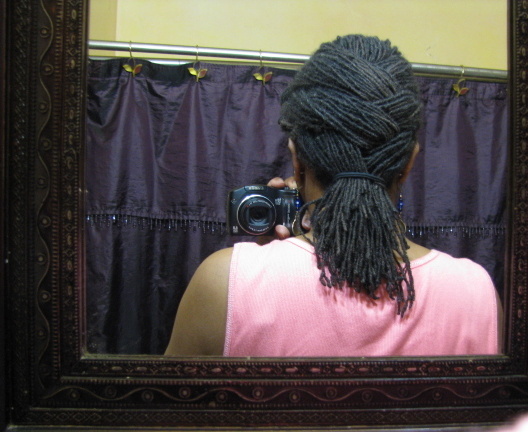 My braidlocks turned 4 years old on August 23, 2012. Y’all did get a bit of a preview of what they look like in July. I’ve mentioned it before that my hair growth is on the slower side of normal so there has not been a lot of change or growth since then. You might be wondering why have in the title braidlocks/interlocks. 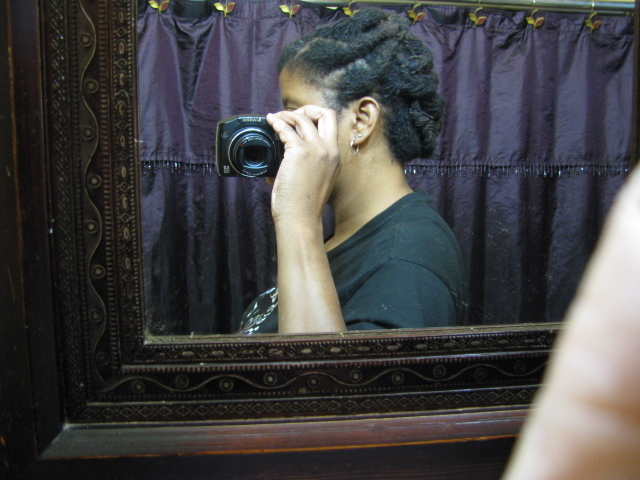 Well, I used braids to start the locking process and I interlock to maintain. I want that to be clear to anyone who might be reading and thinking about using this method to DIY their own set of locs. As far as any routine changes, not really. I’m interlocking the roots every other month at the start of the New Moon. And there happens to be one today…a Solar eclipse as a matter of fact. I make sure that I finish before the Full Moon which is two weeks later. That way I have plenty of time allow for entire day(s) interruptions or if I just don’t feel like being bothered 1 or more days. 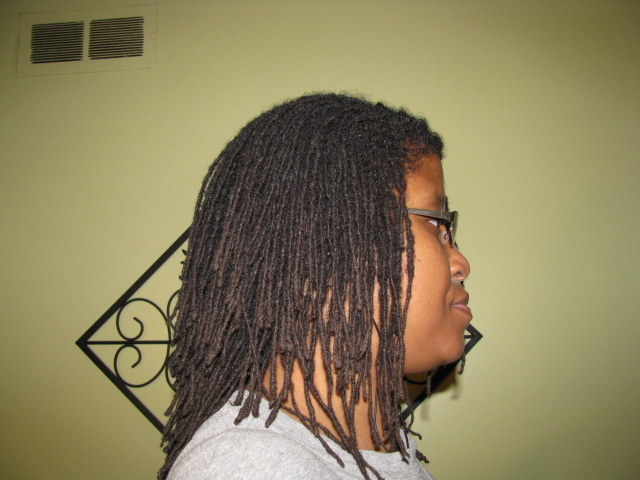 It is one of the down sides of having a large number of locs…the maintenance time. 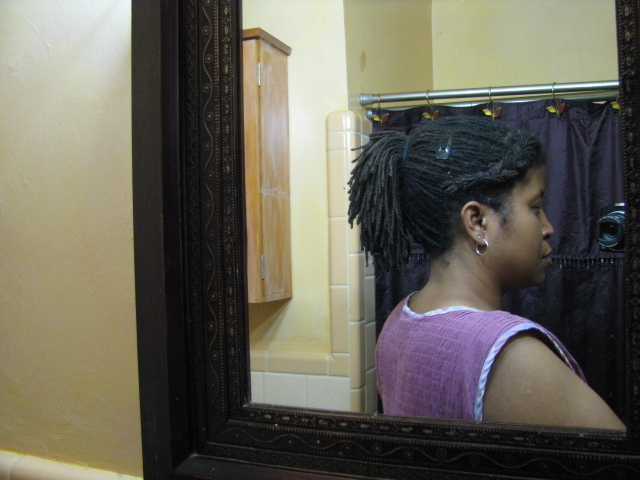 But I don’t like the scalpy look and my hair is fine and thin so a small number of locs does not look good on me. That was my pet peeve when my hair was loose. 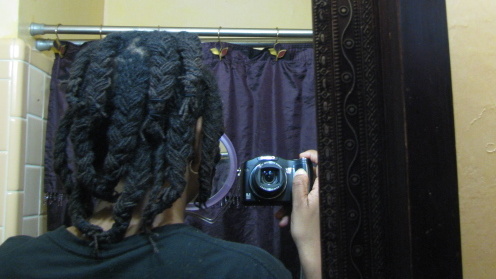 I really did not like the overall look of my twists. And I had 190-200 of them on my head. I don’t think that I wrote about it but last year I experimented with a 4 and 6 month interval between interlocking sessions. While I absolutely loved the long breaks especially the 6 month break, I did not like the additional amount of time I had to devote to retightening. 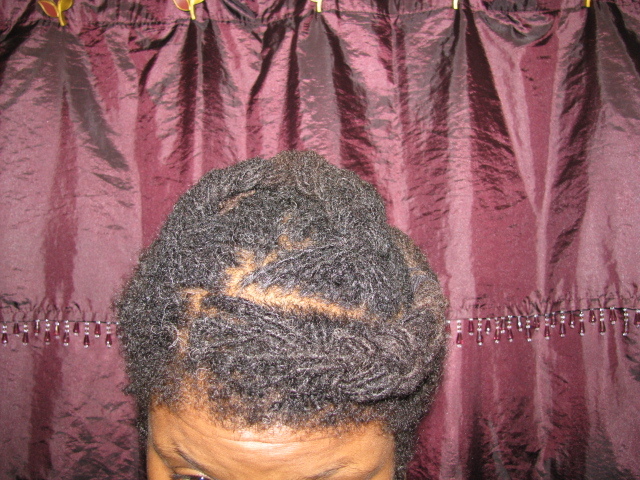 Also I was having trouble with my hair at the root staying in and with the correct loc. I’m still washing weekly using raw African Black Soap and my herbal ACV for my scalp. 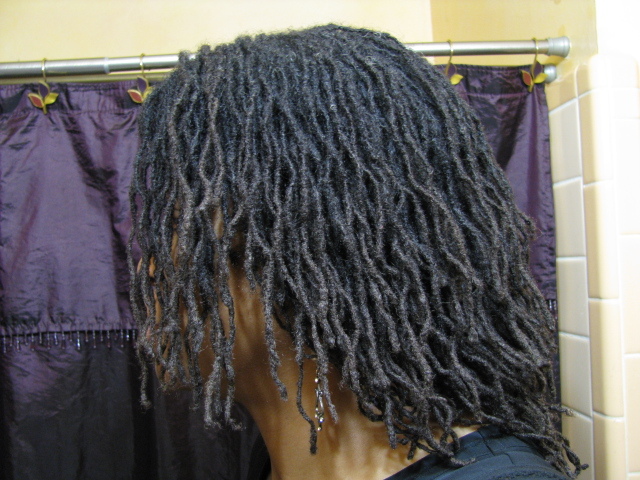 I apply my herb infused coconut oil to my damp locs. 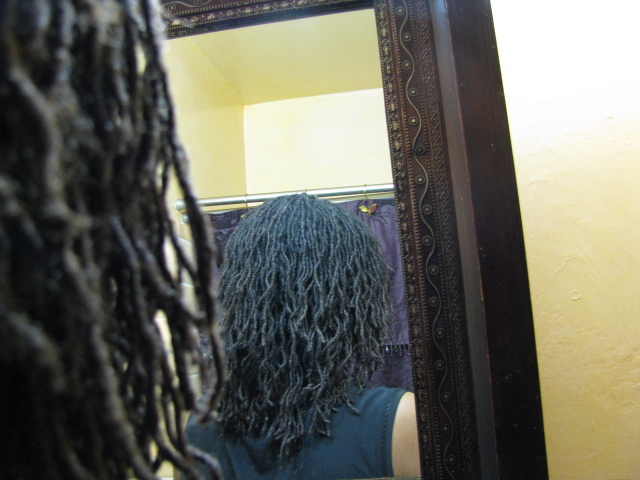 I may or may not have mentioned it before, I completely air dry my locs. Meaning after rinsing, I do not use a towel or anything to get the water out of my locs. I let them dry on their own. I’ve found that my locs feel so much better after they are dry and still feel soft and moisturized the next day. 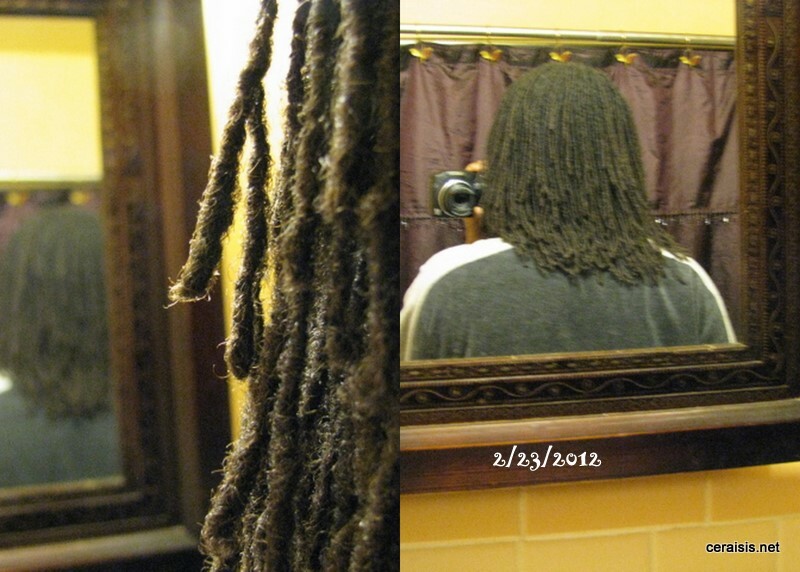 And I’m still spritzing the locs pretty much everyday with water and a couple of drops of my favorite essential oils. I’m still loving this journey and wish I had done this 8 years ago. Then I’d be coming to you with my 8th braidlock anniversary instead of my 4th year anniversary! I’ll get there for sure and for those that are just starting out on your journey, you will get there too! Ok, here’s a few pics I took at the beginning of last month. Hey guys! I’m poppin’ in real quick to show y’all my first basket-weave style. What, two styles in a months time…I know right? Don’t get it twisted as I can assure you this is not the start to any sort of styling trend. 🙂 Though as my locs are getting longer, I’ll be more apt to try some of the simple styles that are just too time consuming to do when one’s locs are shorter and you need a million and one pins to keep everything in place, which I hate. I got a braid in the front that’s off to the side and secured with a bobby pin and the loose locs at the end of the basket-weave secured with a ouchless band. Hey everyone! I hope that this finds you all well. I wanted to do a braidout on my locs the next morning but I had to go out. I knew I was going to be gone for a while and wanted the braids to stay in for more than 12 hours. The braids would have been in for 24 hours or more if I had thought to put them in earlier before going out that morning. Since there really was no rhyme, reason or method to the braiding, it did not look good enough for me to step out of the house like that. See what I mean? Call me vain but this was not cuttin’ it. 😉 Now I probably had about 12-13 braids in. 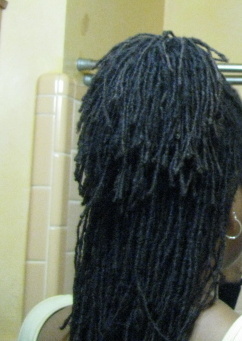 I spritzed each hunk with a bit of water before braiding, securing the ends with ouchless bands. Then I just pinned them however I thought looked good. Here’s the finished product. Not to shabby and I could certainly live with that better than before though for some reason the expression on my face does not reflect it. Well, I did just come from seeing my aunt for the last time as all this was in preparation for her funeral the next day. 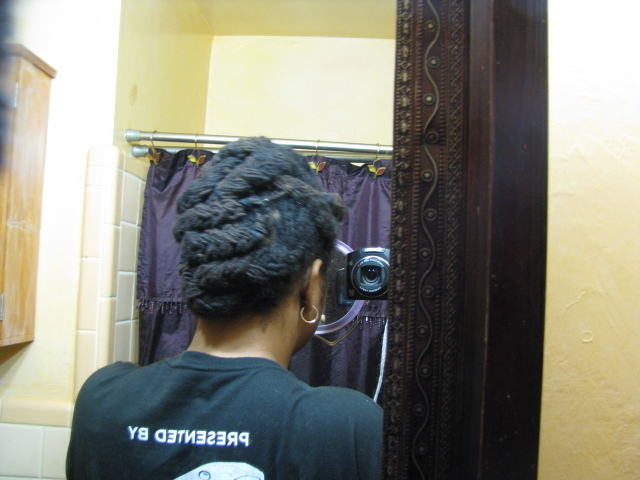 Here’s the resulting braidout the next morning. I was not able to get a pic right after I took the braids down so this is 15 hours or so later. It was hot & humid all day with a bit of rain so of course the curls dropped some and with the small number of braids, the curls were a little loose from the start. I really loved the result. 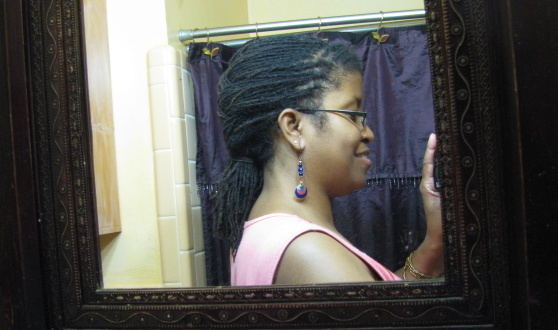 I’m so glad that my locs are much longer than the last time I did a braidout because this time it only took about 20 minutes to do the braids. 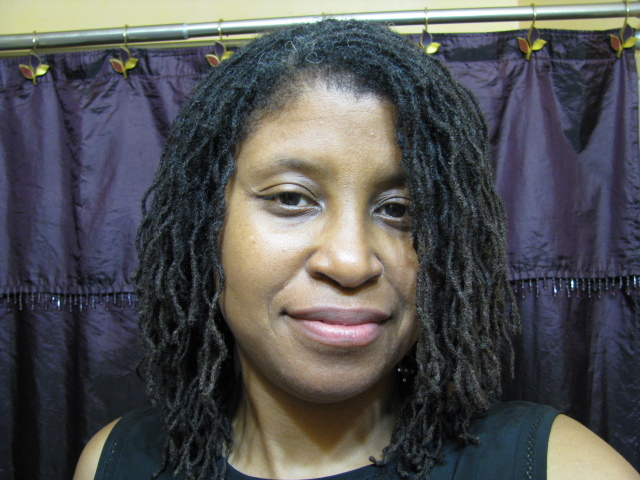 If my locs had been spritzed prior, it probably would have taken even less time. The only thing I may do different the next time is add one or two more braids on the left side so that the updo will be a bit more balanced and the curls a bit tighter. Happy 2nd Annual Loc Appreciation Day!!! Just dropping in real quick to note that today is the 2nd annual Loc Appreciation Day. 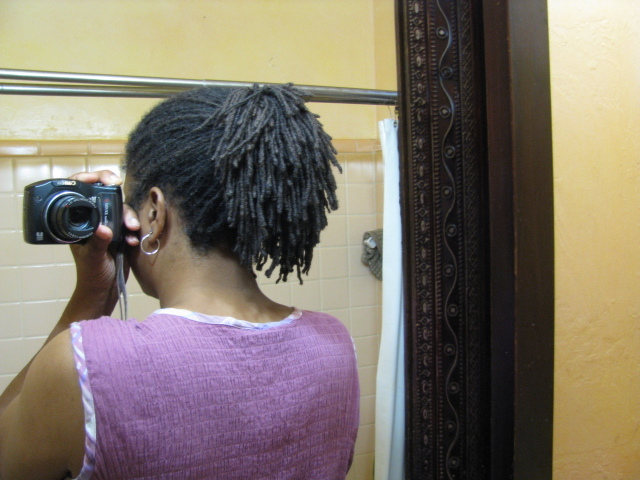 Here’s hoping that all of us who wear locs and those that appreciate locs are having a wonderful day. It’s hot so here are a couple of pics of what’s going to be my summer style. My first real ponytail!! Whohoo!! Wow, I think my braidlocks have finally caught up to the stretched length of my loose hair at the beginning of this journey. 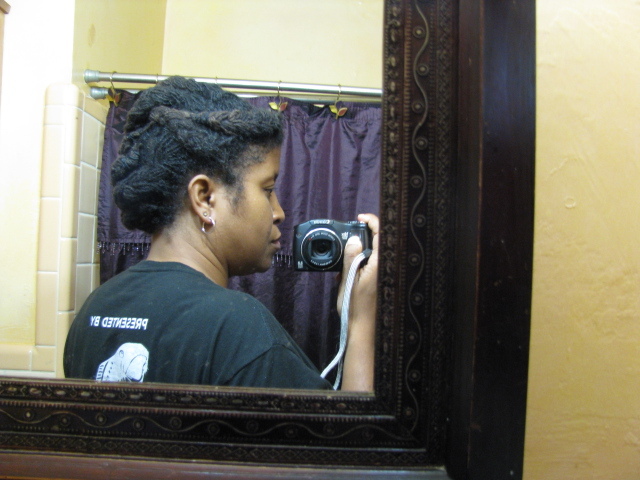 The bottom pic was a length check on the day I started putting in the braids that transformed into braidlocks/locs. 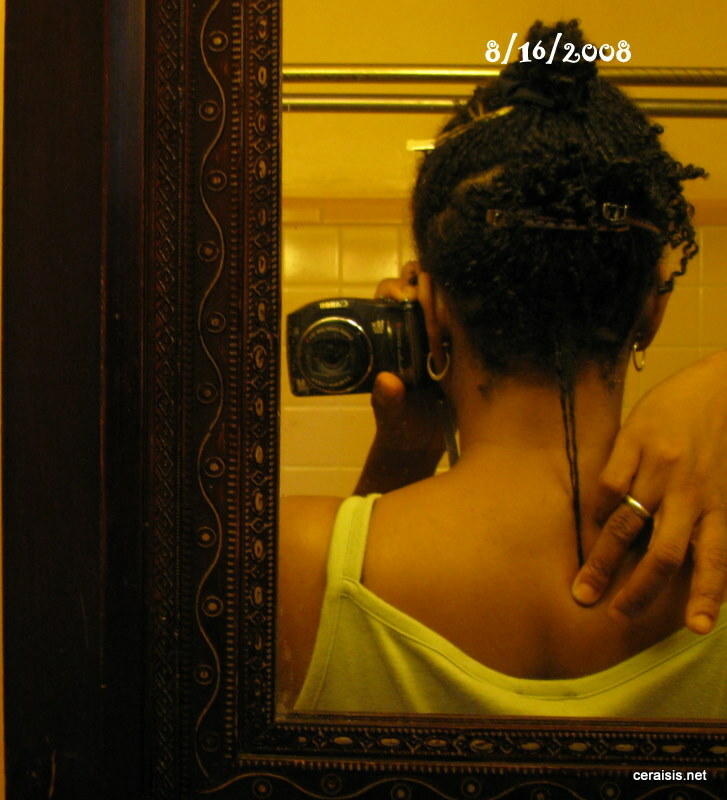 It took me 8 days to get all the braids in hence the date you see in the pic. My hair has never been this long!